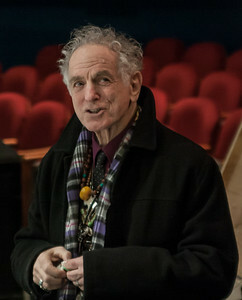 David Amram, composer, conductor, musician, author and activist. He's a multi instrumentalist who can perform most any style of music at a world class level. One of our favorite performers and true gentleman. 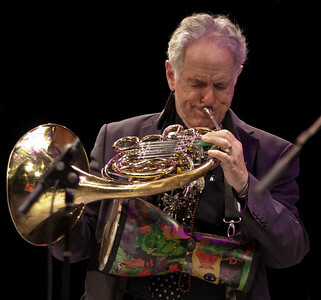 David Amram at Symphony Space, NYC November 2012. 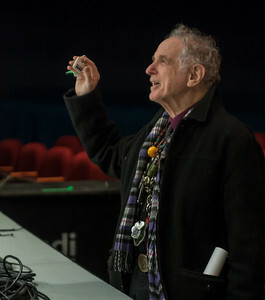 David Amram, Symphony Space, NYC November 2012. 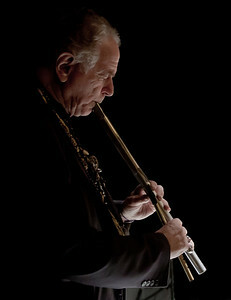 DAvid Amram, Symphony Space, NYC November 2012. Greeting the stage crew. 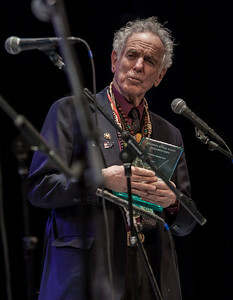 David Amram receiving the Hudson River Sloop Clearwater Power of Song Award at Symphony Space, NYC in November 2012. 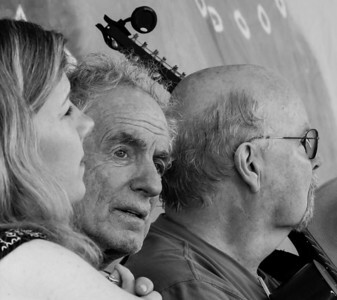 Dar Williams, David Amram and Tom Paxton, on the main Stage at the 2014 Clearwater Festival. 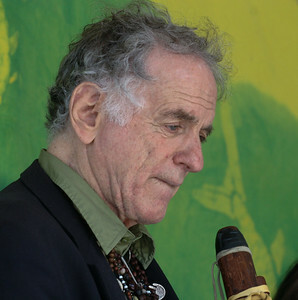 David Amram in a pensive moment on the Hudson Stage at the Clearwater Festival, June 2008. 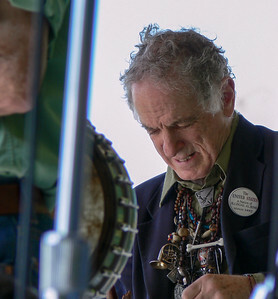 David Amram performing on the Hudson Stage at the 2008 Clearwater Festival in Croton, NY. That's Pete Seeger's elbow and banjo on the left side of the shot. David Amram at Symphony Space, NYC October 2011 performing at the Hudson River Sloop Clearwater tribute to George Wein. 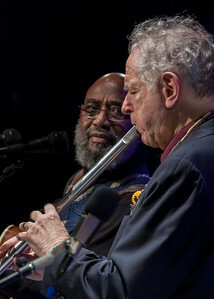 David Amram and Tao Seeger at tSymphony Space, NYC October 2011 performing at the Hudson River Sloop Clearwater tribute to George Wein. 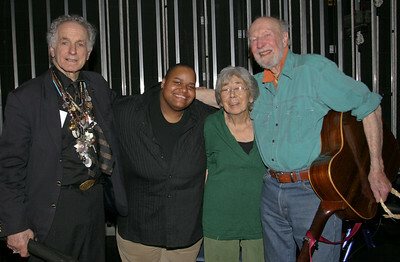 David Amram, Toshi Reagon, Toshi Seeger and Pete Seeger back stage at Beacon High School after the 2008 Clearwater Spring Splash. 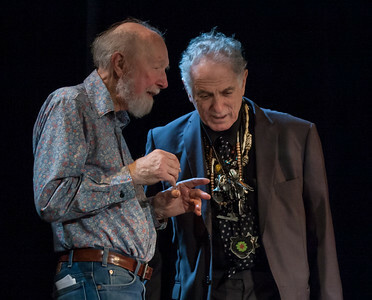 Pete Seeger and David Amram having a conversation in the wings at Tarrytown, NY's Music Hall in 2011. 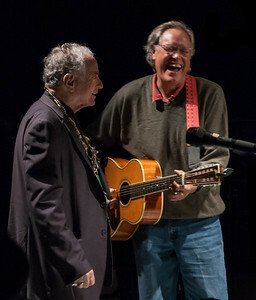 Pete Seeger and David Amram sharing a laugh at Tarrytown, NY's Music Hall in 2011. 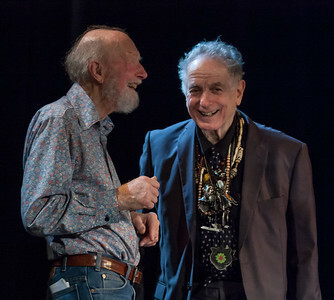 David Amram and Pete Seeger at Symphony Space, NYC in November 2012. 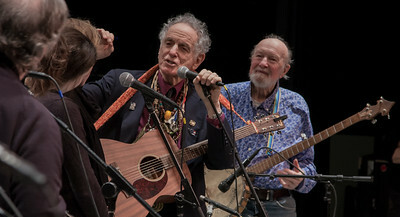 David Amram, Pete Seeger, John Sebastian on the far left and two members of Clearwater's Power of Song group at Symphony Space, NYC in November 2012. 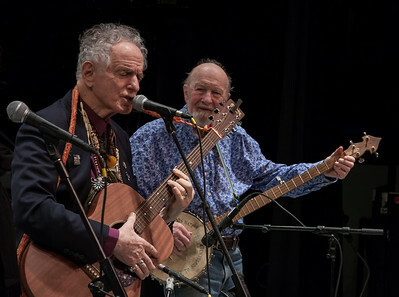 David Amram, Tom Chapin and Pete Seeger at Tarrytown NY's Music Hall for a Hudson River Sloop Clearwater Earth Day concert in 2012. That's Lisa Gutkin from the Klezmatic's behind Tom. David Amram and Tom Chapin having a laugh backstage just before Tom's sound check. Symphony Space, NYC, October 2011. 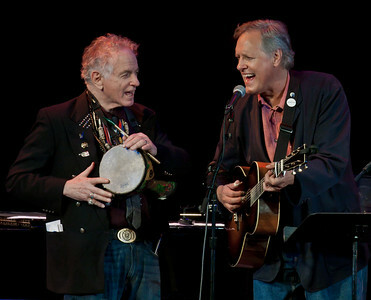 David Amram and Tom Chapin performing together at Music Hall in Tarrytown, NY in 2012. 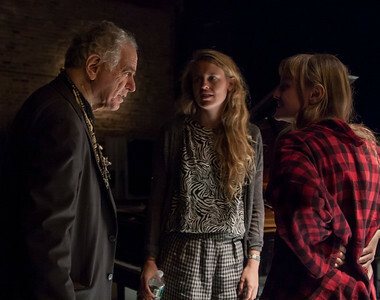 David Amram, Abigail and Lily Chapin (Chapin Sisters) backstage at Symphony Stage, NYC in October 2011. 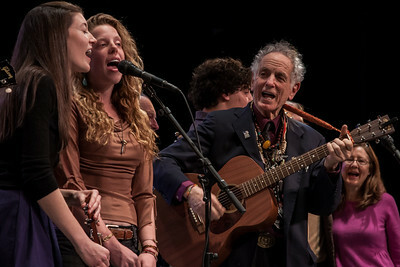 Abigail Chapin and Lily Chapin (Chapin Sisters), Michael Mark, David Amram and Bill Vanaver. backstage at the Bardavon Theater in Poughkeepsie, NY. This was for the Seegerfest Memorial Tribute on July 18, 2014. 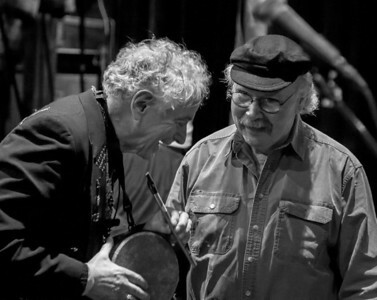 David Amram and Tom Paxton having a laugh backstage at Symphony Space, NYC in October 2011. 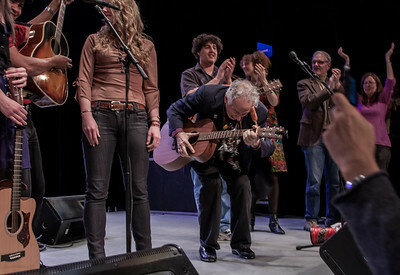 John Sebastian, Josh White, Jr., Tom Paxton, the Power of Song singer with David Amram and Pete Seeger for their sound check at Symphobny Spce, NYC in 2012. 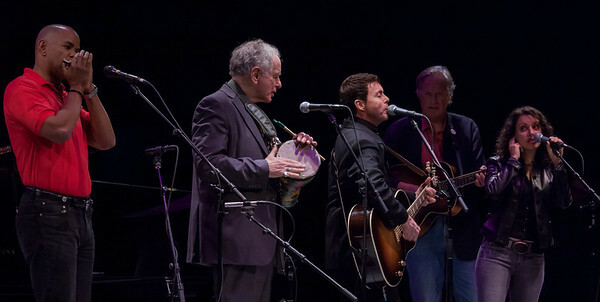 Guy Davis, David Amram, Richard Barone, Tom Chapin and Lucy Kaplanski at Symphony Space, NYC for the Hudson River Sloop Clearwater Tribute to George Wein, October 2011. 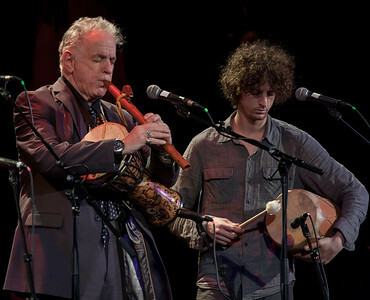 Adam Amram and his father David Amram at Symphony Space, NYC in October 2011. 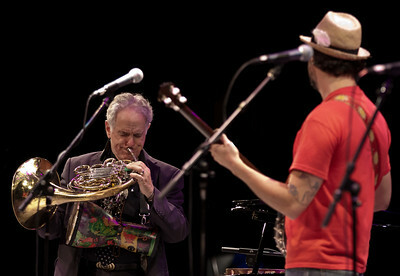 Davis Amram and his son Adam Amram performing together at Music Hall in Tarrytown, NY in 2011. 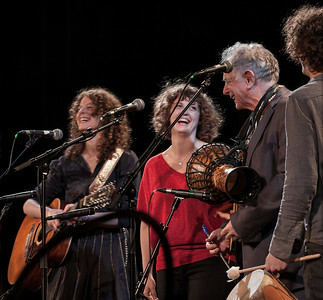 Alana Amram, Adira Amram, David Amram and Adam Amram at Music Hall in Tarrytown, NY, 2011. 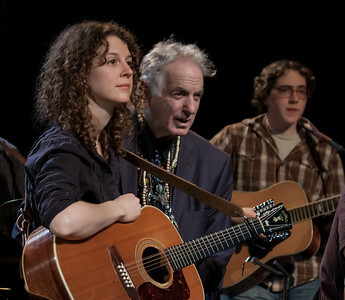 Alana Amram, David Amram and Matt Ehmer at Terrytown, NY's Music Hall in 2011. 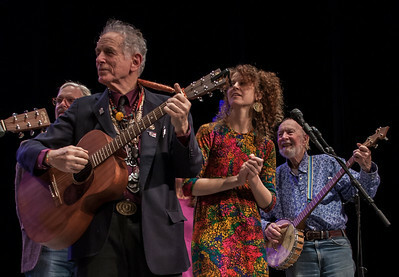 Adira Amram, Alana Amram, Adam Amram and David Amram at the finale of The Hudson River Sloop Clearwater Earth Day Concert in 2011 at Music Hall in Tarrytown, NY. 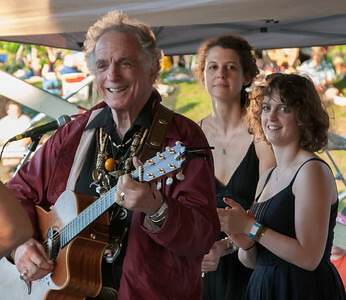 Alana Amram, Adira Amram and David Amram on the Rainbow Stage for the Generations Set at the 2011 Hudson River Sloop Clearwater Festival in Croton, NY. This set brought together multiple generations of performers. 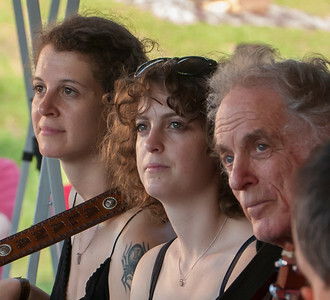 Alana Amram, Adira Amram and David Amram in a pensive moment on the Rainbow Stage for the Generations Set at the 2011 Hudson River Sloop Clearwater Festival in Croton, NY. 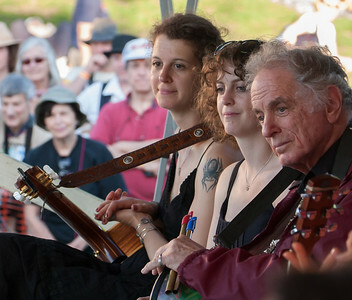 Alana Amram, Adira Amram and David Amram on the Rainbow Stage for the Generations Set at the 2011 Hudson River Sloop Clearwater Festival in Croton, NY. 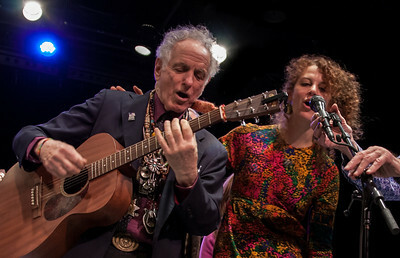 David Amram performing with his daughters Alana Amram and Adira Amram for their set at the Gererations Set on the Rainbow Stage. This was the 2011 Clearwater Hudson River Sloop Festival in Croton, NY. 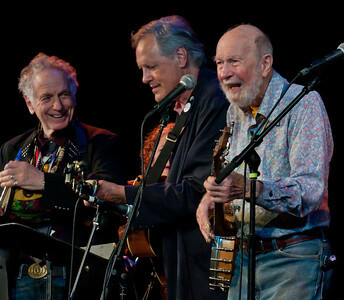 David Amram, Alan Amram, Pete Seeger with Keir Dullea behind David. This was during the finale at Symphony Space, NYC in November 2012. 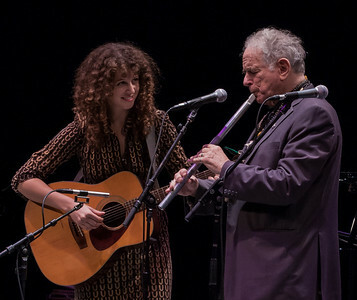 David Amram and his daughter Alana, Symphony Space, NYC, November 2012. 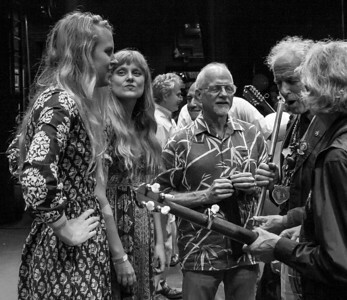 That's Pete Seeger's hands adjusting Alana's mic. 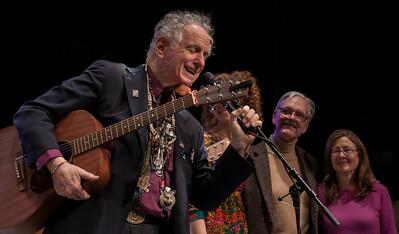 Power of Song Singers, David Amram and Mia Dillon a Symphony Space, NYC in November 2012. That's a bit of Pete Seeger's face in the middle of the shot. 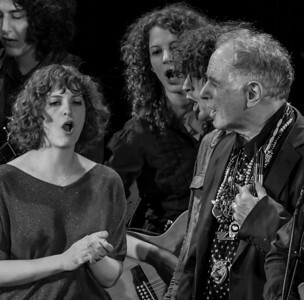 David Amram, Alan Amram, Keir Dullea and Mia Dillon at Symphony Space, NYC, November 2012. Guy Davis, Power of Song Singers, David Amram, Alana Amram, Keir Dullea and Mia Dillon at the finale. Symphony Space, NYC, November 2012. 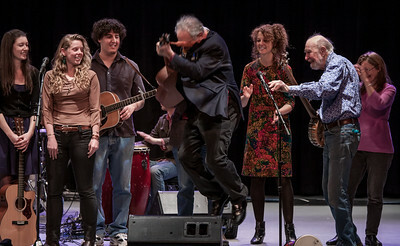 Power of Song Singers, Adam Aram (in back) David Amam in the air, Alana Armam, Pete Seeger and Mia Dillon at the finale. Symphony Space, NYC, November 2012. This was a concert to honor David and present him with the Hudson river Sloop Clearwater Power of Song Award. 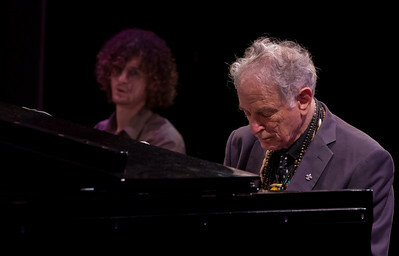 David Amram with Josh White Jr. Symphony Space NYC, November 2012. 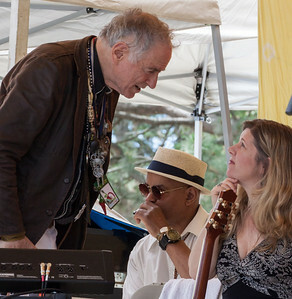 David Amram talking with Dar Williams. That's Guy Davis on the harmonica. 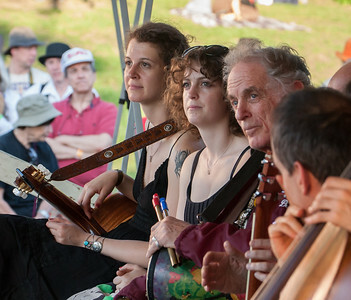 This is on the Rainbow Stage just before their set at the 2014 Clearwater festival. 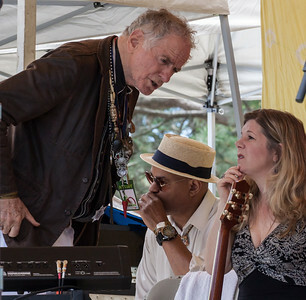 David Amram and Dar Williams having a conversation on the Rainbow Stage before their set at the 2014 Clearwater Festival. That's Guy Davis on the harmonica in back. 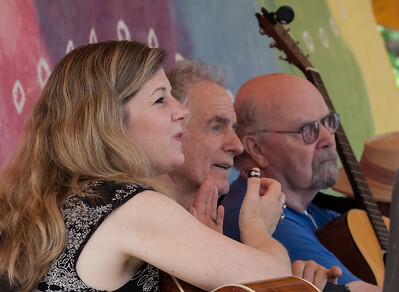 Dar Williams, David Amram and Tom Paxton on the Rainbow stage at the 2014 Clearwater Festival. 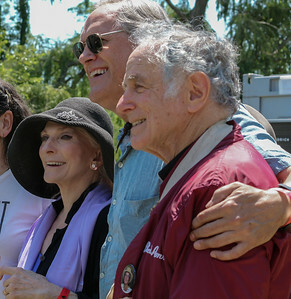 Judy Collins, Tom Chapin and David Amram at the 2013 Clearwater Festival. 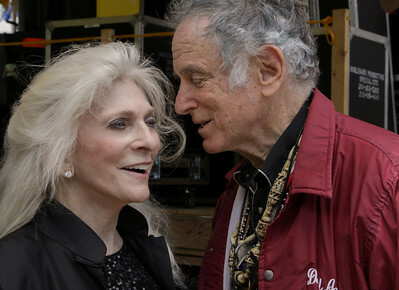 Judy Collins and David Amram. 2013 Clearwater Festival.